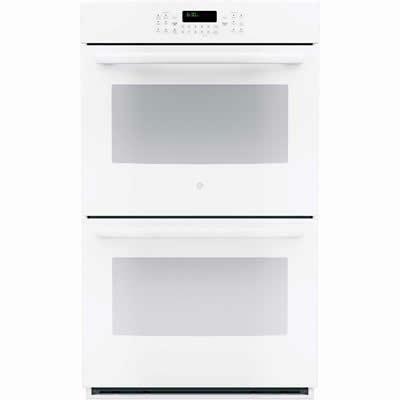 This GE® double wall oven with convection updates your cooking capabilities completely with true European convection (in the upper oven) that bakes foods evenly with a combination of 3 heating elements and a fan. 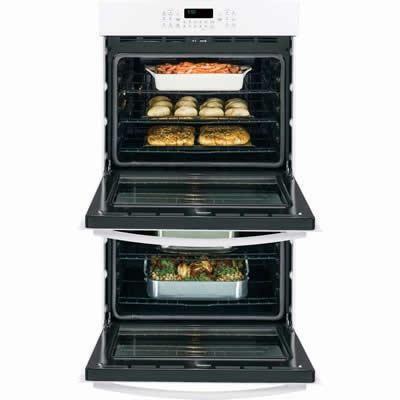 Specially designed bake and broil elements also help ensure even cooking. And with an amazing total capacity of 10.0 cu. ft., you can cook large meals with ease. Total Capacity 11 cu. ft. / 0.31 cu. m.
Main Oven Capacity 5.5 cu. ft. / 0.16 cu. m.
Secondary Oven Capacity 5.5 cu. ft. / 0.16 cu. m.
Additional Information True European Convection (upper oven only) gives delicious results from a third heating element and fan combination; Ten-pass bake element assures even baking, with heat that covers more surface area; Eight-pass broil element provides full broil coverage and even browning from edge to edge; Black gloss oven interior gives a clean and sleek appearance. Additional Dimensions Cutout dimensions (w x h x d) (in.) 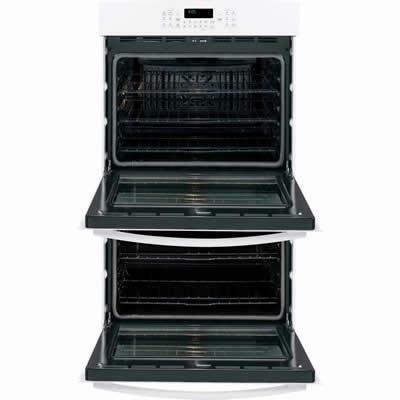 28-1/2 x 51-13/16 x 23-1/2; Oven interior dimensions (lower) 25 x 17-3/8 x 20-1/4; Oven Interior Dimensions (upper) 25 x 17-3/8 x 20-1/4.